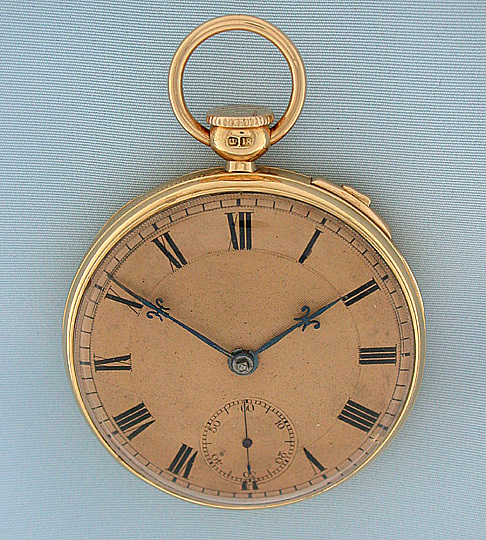 Fine, scarce, and very early English stemwind ruby duplex quarter repeater antique pocket watch by George Brinkman, London, circa 1832. Nicely refinished gold dial with later fancy blued steel hands. 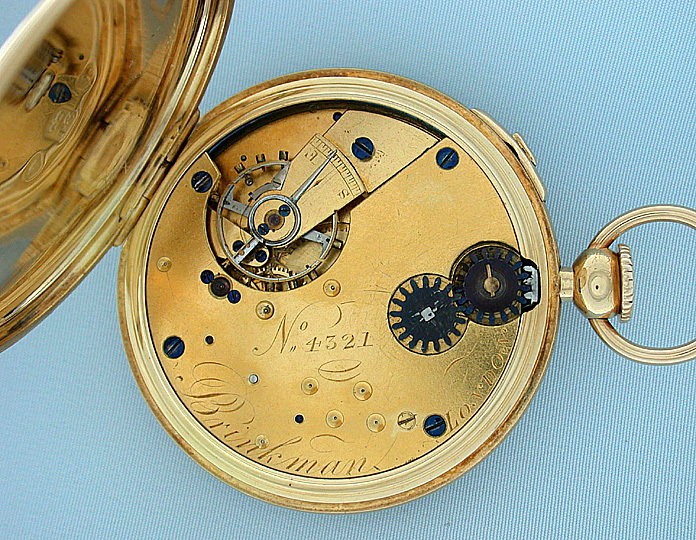 Gilt 3/4 plate 12 jewel movement with blued steel winding wheels and ruby duplex excapement. 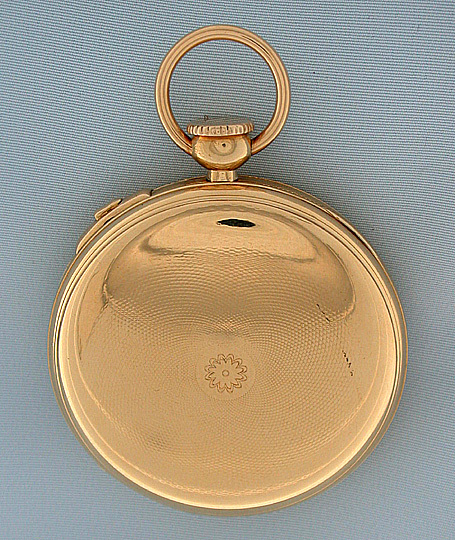 Slim gold case with repeat slide in the band. 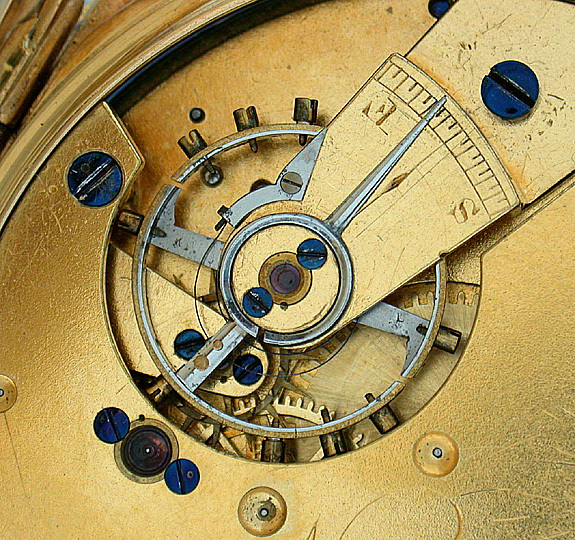 This is one of the earliest English keyless watches. Rare and very attractive with good tone.